Steel Fire Equipment is sensitive to the privacy concerns of its online visitors. We have implemented this policy to detail the type of information collected and the measures to protect it. Your use of this website constitutes your acceptance of the terms in this agreement. 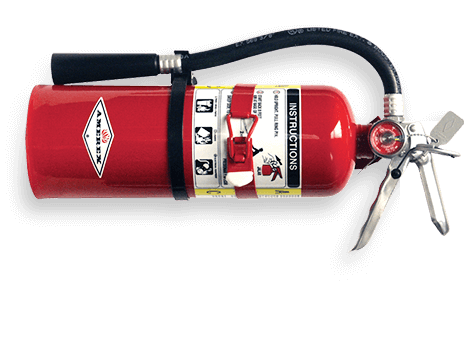 Steel Fire Equipment may also collect personally identifiable information. This information is provided solely by you, voluntarily. We will never collect it automatically or without your knowledge. This information includes but is not limited to name, email address and phone number, and is collected for the purpose of fulfilling certain functions on the Steel Fire Equipment website. You may choose not to provide this information, but refusing to do so may inhibit your enjoyment of this site. Steel Fire Equipment is dedicated to protecting the privacy of its users. To that end, we implement data security procedures and technologies consistent with industry standards, and enact upgrades to maintain that level of security. Only select Steel Fire Equipment employees have access to information collected through the website. At Steel Fire Equipment we do not make your information available to third-parties without your consent, except for cases in which such disclosure is required by law. Cookies are small data files placed on your computer after visiting a website. These files can be either permanent or temporary cookies. Permanent cookies are stored on the computer’s hard drive, while temporary, or “session”, cookies expire at the close of the browsing session. These files are helpful in streamlining user experiences on the site and providing Steel Fire Equipment with personally non-identifiable information about how visitors are interacting with our website. You can refuse to accept cookies by implementing this preference in your web browser. Please note, however, that this may prevent your ability to take certain actions or enjoy certain features while on our site. The presence of links on the Steel Fire Equipment website to external sites does not constitute an endorsement of these external sites. Steel Fire Equipment does not maintain these external sites and is not responsible for the content or privacy measures on them.